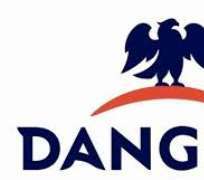 Dangote Cement Plc's $150 million plant in Cameroon will commence production in August, the cement maker confirmed in a statement on Sunday. According to the company management, the 1.5 million tons per annum capacity plant is almost ready and will commence initial production at one million tons per annum before productions would be stepped to maximum capacity level. Conducting journalists round the factory in Douala, Cameroon, the general manager, Abdulahi Baba stated that the cement plant would revolutionalise the cement industry in Cameroon and help stimulate the Eastern African economy as Dangote Cement would churn out its known quality grade of 42.5 at a very competitive price. He said plant was ready for test running and what was yet to be completed are little engineering finishing as well as access roads to the plant. ], adding that the plant would be the most modern in Cameroon because of the latest technologies used in the construction. On the economic benefit of the commencement of operation, Baba stated that over 1000 people would be employed directly by the plant while over 5000 would benefit from the indirect employment to be generated by production activities of the plant. “The plant is over 70 per cent ready, we will commence test running in few weeks time, while we hope to commission the plant in August. We have brought our latest technology here to build the plant as we are a very environmentally friendly company,” he said.